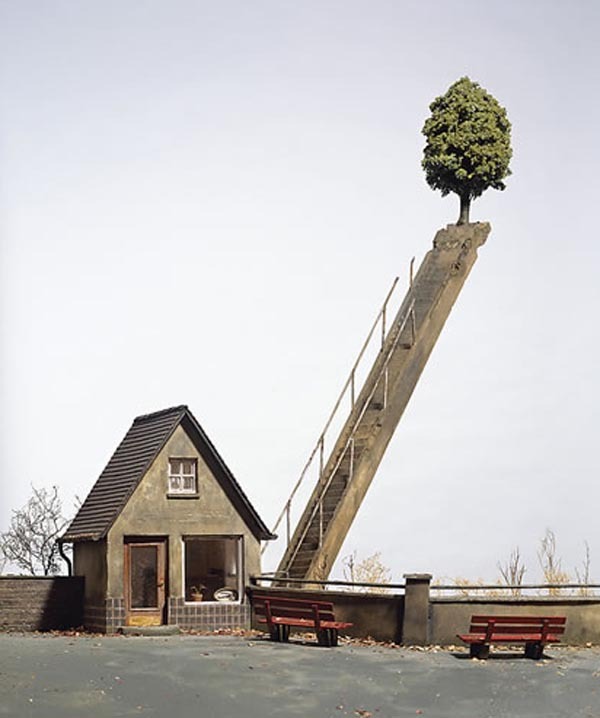 Frank Kunert takes photography and sculpture to a new scale, literally. 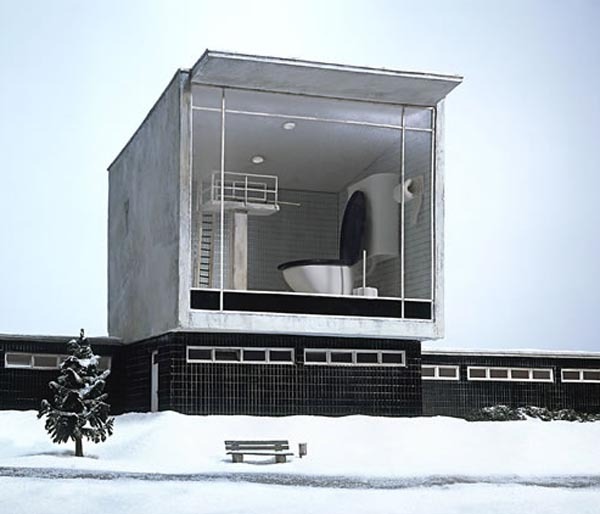 His miniscule models can be described as puzzling and witty, as well as strikingly creative. This German artist focuses on the fabrication of art as a visual paradox to his audience. Using a variety of industrial grade materials and paints, he sets to work for weeks on end, creating a three dimensional diorama for his pictures. Kunert’s appreciation for the beauty in the strange stretches far beyond normal photography. He aligns his subjects with a little twist that makes it a deviance to normal reality. Art for him is in both the creation and the capture of beautiful oddities. He carves, saws and creates a world with details that are almost flawless in comparison to reality, and yet his pieces speak of an inversion that tugs at logic itself. “Seeing is believing” may be a good catchphrase for his exhibits, as many of his newer works also focus on impossible and indefinite feats.